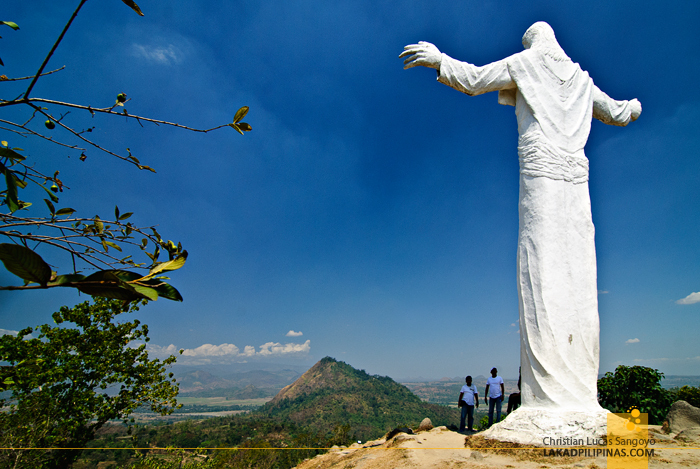 A thirty-foot statue of the Risen Christ towers over the rolling landscape of the Province of Tarlac. We were at the hillside retreat of Monasterio de Tarlac for Tara Quin Tarlac, a familiarization tour spearheaded by Microtel Luisita to open the floodgates of tourism in the region. A monk from the Servants of the Risen Christ Monastic Community approached us, welcoming us to the Mountain of Resurrection where the monastery is built on. We asked a few questions and he gamely answered, explaining the origins of their order and the monasterio itself. 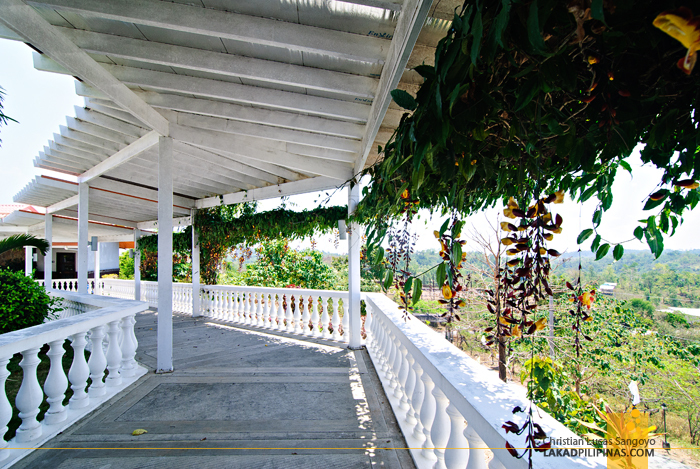 The Monasterio de Tarlac is not as old as the monasteries most people have in mind. In fact, its construction concluded only in the year 2000. Very, very recent, considering most monasteries are centuries old; well, at least those we see in Hollywood movies, them medieval ones complete with hooded monks and cobwebby halls. 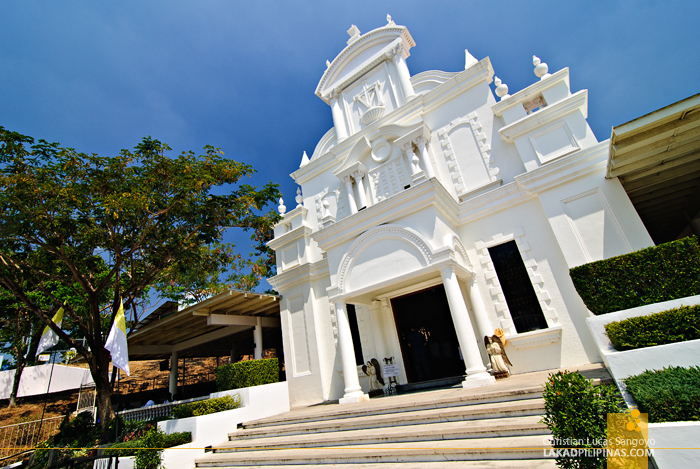 Monasterio de Tarlac’s claim to fame, besides the colossal statue of the Risen Christ, is the Relic of the True Cross which is enshrined inside the monastery chapel. Remember Santa Cruzan? The story goes that when St. Helena dug under Calvary Hill in Jerusalem, he found three crosses. Unsure which one of the three was Jesus’, she asked a dying woman to touch all the crosses. The one that revived the woman was declared to be the True Cross. Through the years, that cross was passed through many hands until it was split up into smaller and smaller parts. 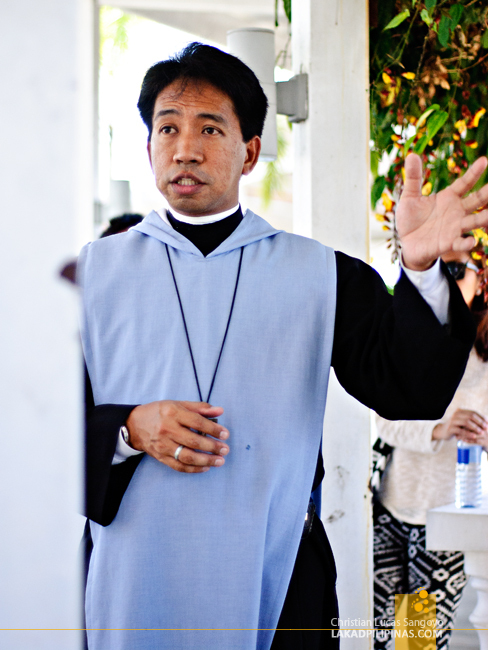 In 2007, a splinter of that said cross was brought from Germany to the Philippines. 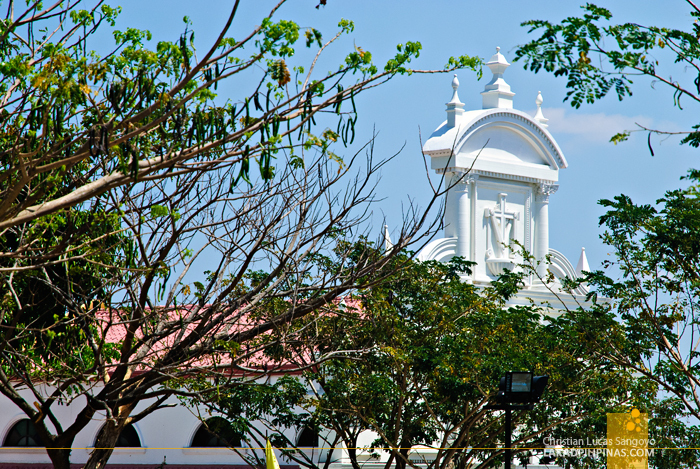 It now resides at the white Baroque chapel of Monasterio de Tarlac. 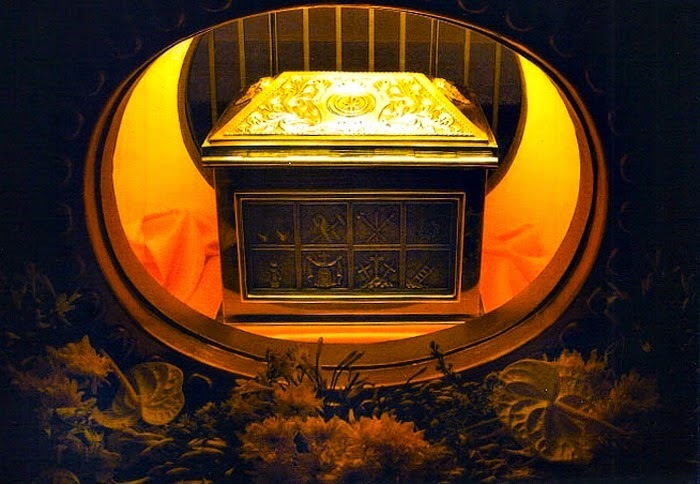 The relic, which is purported to be miraculous, is housed in an ornate golden box under the church altar. 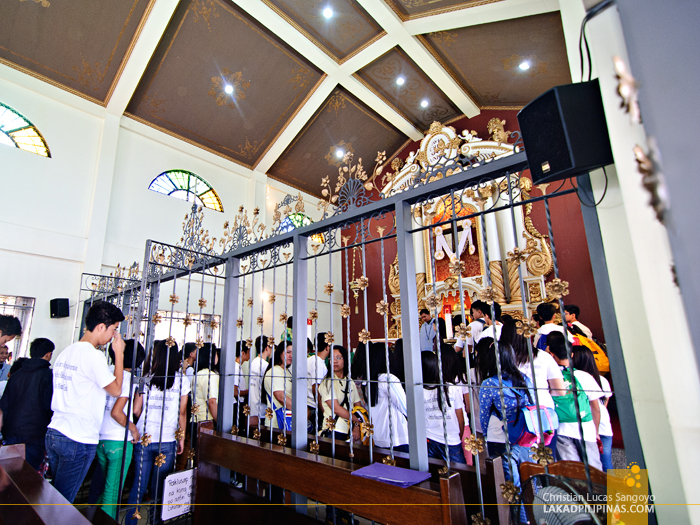 The faithful are allowed to touch only the enclosed box after every mass. However, open veneration of the cross also occurs twice every year during the 19th of January to commemorate its enshrinement and the 14th of September to celebrate the Servants of the Risen Christ anniversary. Besides that heavy religious stuff, the Monasterio de Tarlac is beautiful in itself. Elevated three hundred meters above sea level, the air here is fresh and calming. Trees abound and the silence is a soothing change for frayed nerves; a perfect place to slow down and reflect. There are spots which looked a bit Disneyland-ish, but I guess it’s simply the Filipino kitsch that usually pervades most parks and open spaces. I honestly can do away with the castle-like parapets and turrets, but yeah, that’s just the snobbish me. I’m sure most Filipinos dig this kind of architecture. As the mass ended, a queue started to form for the veneration of the True Cross. While my companions lined up with the rest of the faithful, I took the time to revisit the monolith of the Risen Christ, now blazing white with the mid-afternoon sun. I stared at the landscape below, following the gaze of the Risen Christ, and heaved a sigh of contentment. There is actually no entrance fee. Those with cars are asked to pay a packing fee of P50 for the up keeping of the place which is very good endeavor on thee part of the custodians of the Monaterio. Is there any place to eat some foods like a picnic? What is the schedule of the mass on Sunday? paano po pumunta jan from manila na naka bus lang? 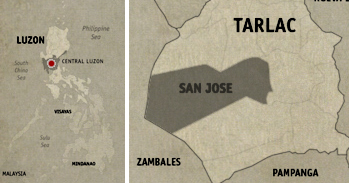 san bababa na malapit mismo sa monasterio de tarlac? meron ba masakyan na public bicycle going mismo sa monasterio? please need answer..
Hi Angel, I'm not sure if there are public transport going to the Monasterio de Tarlac. I will update this post if I find one. 1.Take a provincial bus going to Tarlac Siesta terminal. 2.From the terminal, take a tricycle ride going to jeepney terminal with San Jose route (you can also ask the tricycle driver if he can bring you back and forth to Monasterio, to avoid the hassle of several change of transpo, but might be costly...otherwise proceed to next step). 3.Take the San Jose jeepney and alight on the road to Monasterio (just tell the driver, he knows). 4.Finally, take another tricycle that will bring you upto Monasterio. note:there are low number of transportation back to bus terminal in the afternoon... you might need to ask the tricycle driver who'll bring you to Monasterio to wait for you so he can drive all the way to bus terminal...locals folks are kind hearted and willing to help, you can ask for assistance. Thank you Christian, It almost 60 km or 1 1/2 hours travel from our place. I'm from Licab Nueva Ecija. We will visit the place maybe 2 week of July since we have a car now. Also SM Tarlac is near in Siesta Bus Terminal along Romulo Highway. Thank you Christian. I will. makakaakyat kaya ang bus dun if i bring my pilgrims group? bus or coaster? Hi, Me and my Friends would like to Visit and Attend mass there...? Can You help me out..? Hi, I would like to know the mass Schedules of the Monesterio..? Hi Teacher, you may contact them for your guidance. Hope this will help. When will be the public veneration of the cross this coming year? pano po pumunta dyan?what route po nang jeep?mangagaling po kami nang angeles city.thankyou. Is it going to be open this day? around 2pm? We just went there yesterdday January 1.. Wala pong entrance. at 10:30am po ang mass except Thursday po ata..
Our parish is planning to visit the monasterio as part of our Lenten pilgrimage. Please let me know if the road up there & the place can accommodate tourist buses. so pwede po umaykat ang mga sasakyan hanggang sa taas? may lakarin po ba na pataas going to the monastery chapel? we are planning to include the place for our visita iglesia this year and we have a senior citizen with us so we are just a bit worried na mahirapan sya kung may mga pataas or mahabang lakarin. thank you po! Hi Jhing, yes you can bring cars to the top of Monasterio de Tarlac. You still have to walk for a few minutes, but it is very managable walk. ask ko lang po kung may mga makakainan po ba dun?? or need po mag pack ng pagkain po?? Ask ko lang po if pwd mag short dun?kung may mga bawal po bang dalhin?may makakainan po ba dun? Hi, you can bring your own food. I think the only thing prohibited is bringing of alcoholic beverages. Yes, there's a snack house within the compound. tanong ko lang po kung mataas ba aakyatin papunta sa monasterio? hirap po kasi ang mother sa paakyat? We are planning to visit your place on March 17, 2018. We are pilgrims from Manila, we're five in a group. What could be the best time to visit the place? and we are also planning to stay there overnight, do you have a place for pilgrims like us? Correction, we just went there yesterday. 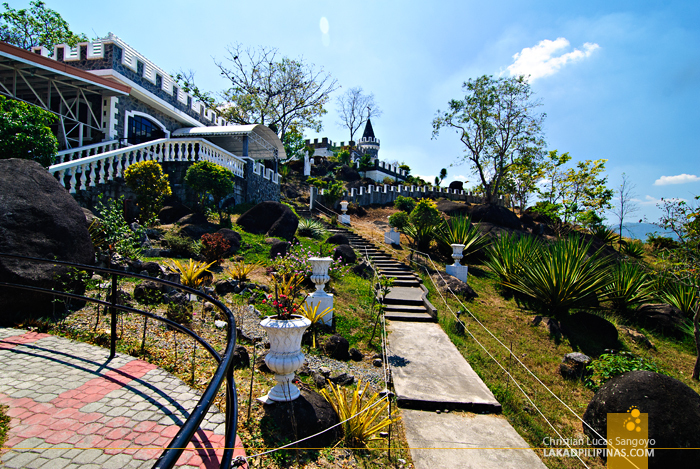 At the entrance, before we went up to Monasterio de Tarlac, we were asked for 50 pesos as fee. No receipt issued. No idea if Monasterio is aware of this. Hi, it was years since I last went to Monasterio de Tarlac, I guess they're now asking for entrance fees. Will update this article. Thank you for sharing that info. I went there also and they only ask those with cars to pay Parking fees of P50 which is proper. There are people taking care of the place, and the road construction is not yet finished. The place has to be maintained with money and one does not expect God to drop money from Heaven to maintain the place.